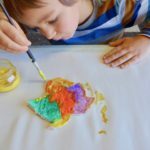 Wonderbar | Creative art instructions for kids! Bring art to your home! 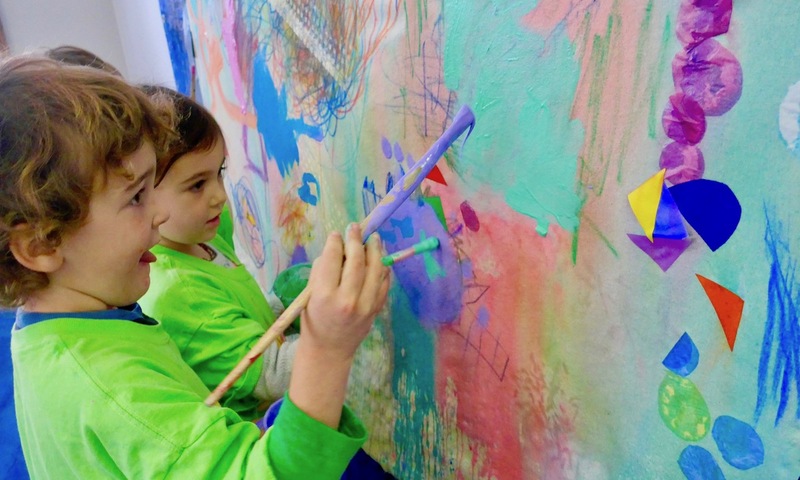 Wonderbar offers private Art Classes, Baby Play and Toddler Art Groups, Birthday Parties, Family Art Experiences and more – from toddlers to tweens in Ridgway and Ouray, Colorado. 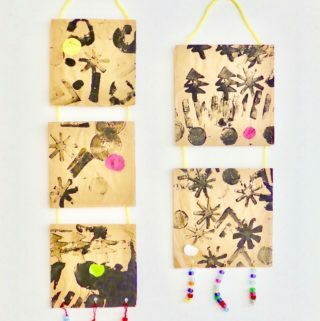 Art exploration includes one-of-a-kind projects in small groups, exciting materials, high quality supplies, painting, drawing, collage, mixed media, printmaking, sculpture, felting, sewing & more! Give your child the gift of CREATIVITY! Little Artists will create and experiment with exciting materials to weekly changing topics and stories. We will work with paint, drawing, printmaking, mixed media, and more. Children have to be potty trained for drop-off, and mommies/daddies are welcome to stay anytime. Open to ages 2.5-6. Register here. Do you want to have the best playdate ever while learning how to do some fantastic process based art projects with your baby or toddler? 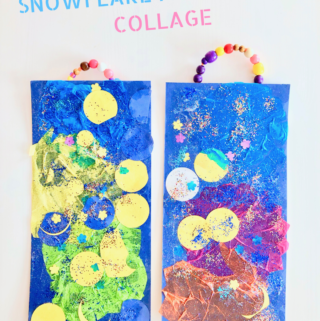 In this sensory and experience based art class you and your child will work with taste-safe paint, drawing and mark making tools, playdough, mixed media, and more. 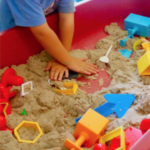 Art activities include 2-3 art stations for your toddler as well as 1-2 sensory bins (play with clay, sand, rice, ice, water etc.). Register here. 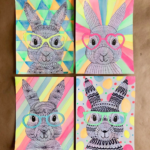 Join Weehawken Creative Arts for an afternoon of family art for all ages before the Easter Egg Hunt in Ridgway. Multiple arts and crafts activity stations will be set up, as well as sensory activities for little ones and games for those who like to stay “on the move”. Register here. 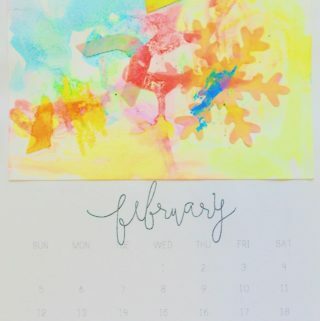 E-mail Claudia Brauer if you want to sign up for a private or small sized Art Class, Family Art Experience, Baby/Toddler Art Group or Birthday Party. Don’t forget to check the calendar for availability.